It is a very rare occurrence for me to watch an adaptation of a book without having read it beforehand - but that was the case with this. However, I hated the television adaptation and watched only the first 15 mins. 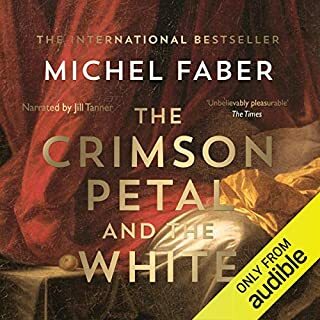 I was stunned that the book was so lauded and so thought I'd give the audiobook a try. Oh wow!! Listened to it through over three evenings - late into the night!!! I loved it - give it a try especially if you didn't like the TV adaptation!! What a shame about the narrator!!! I'm sure like many people,I had tried to read this book numerous times before. I had loved Anna Karenina but could just not get into this at all. That is until I got the audio book. I was hooked after the first 10 mins and couldn't wait for the next installment. But what a shame about the narrator!! That's an understatement. Usually the narrator enhances the book for me - not this time - his voice really detracted from the experience. 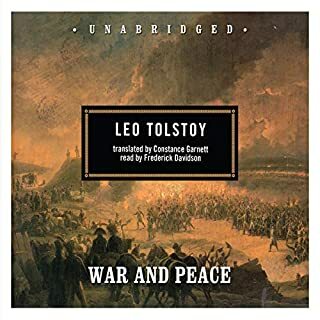 The book by Leo Tolstoy is fabulous and deserves it's reputation - but I would highly recommend listening to this with someone else narrating.